National French Bread Day – Live. Simple. Good. My extended family has never been very close so I was happy to marry into a family that is! 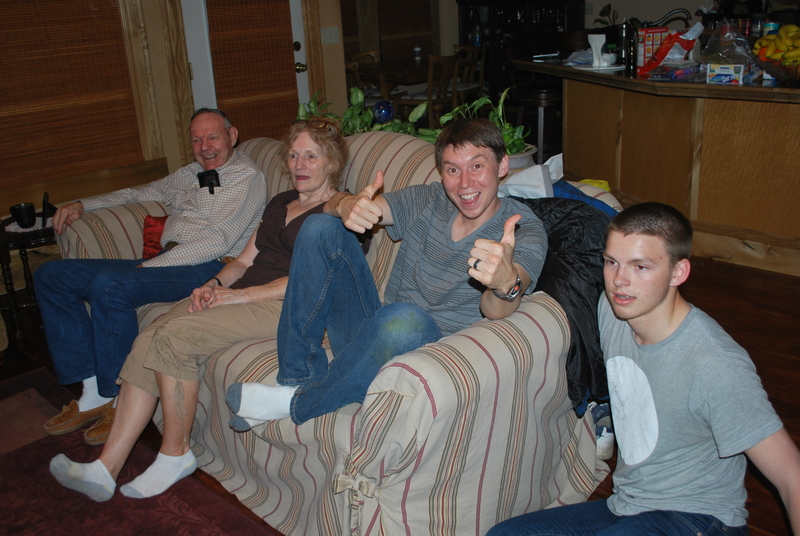 This past weekend we visited Caleb’s Great Aunt and Uncle (called Ya-Ya and Pop Pop). Everyone thinks of them as an extra set of grandparents. They have a big home ready for lots of company. Sadly we haven’t been able to make it down there much but we are trying to make up for it now. We spend hours playing games and laughing. 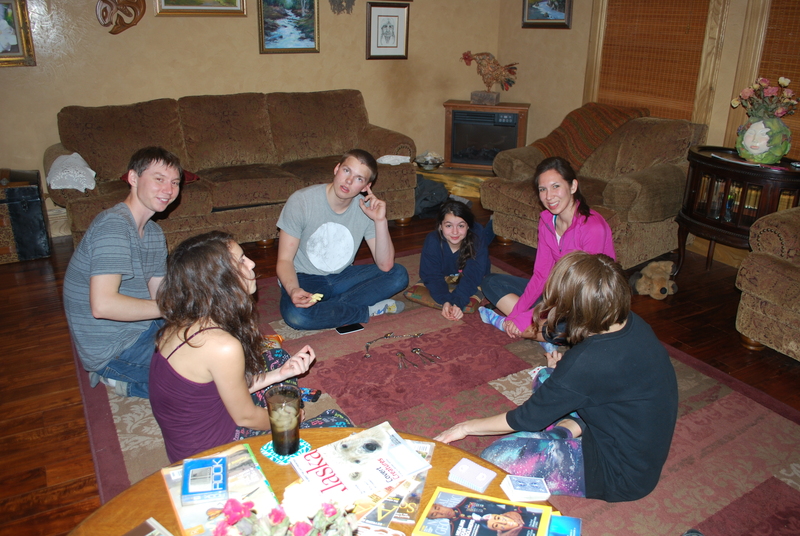 My favorite part are the multiple tables of people playing Crazy Rummy (with a wall of best and worst scores), Dutch Blitz and late night (in the dark) games of Murder and Sardines. Even Ya-Ya plays! On Saturday night we played Sardines. For those of you who don’t know what this game is… Under the cover of darkness one person hides. Once hidden everyone searches for them. If you locate the person then you hide with them. Gradually people start to disappear and it’s so funny to see how many people fit in a hiding spot… such as 11 people in a shower! 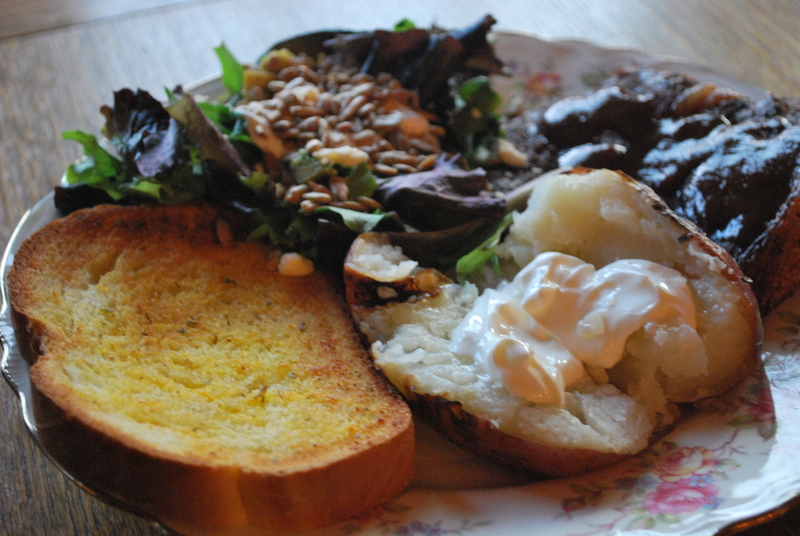 Dinner was a delicious meal of Steak, baked potatoes, salad and French Bread… perfect for National French Bread Day! And in honor of Memory Day, as we sat around the large table, people talked about fond traveling memories. We ended our night with a brutal game of SPOONS. I hope my home always has the same joyful and peaceful atmosphere… that one day we will be the home people visit to relax amongst family – laughing as we run around in the dark hiding from each other.